The people have voted on the best sports bar in Boston. The votes are in and the winner of the NBC10 Boston tournament to determine the Boston-area’s best sports bar is Jake n' JOES. 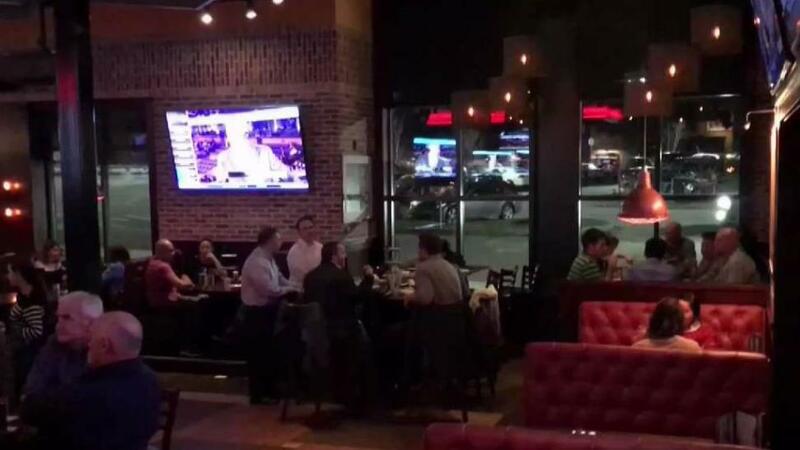 The chain of sports bars that features over 40 televisions in each location, garnered 52% of the votes in the final round versus Cask n' Flagon. Congratulations to Jake n' JOES and all the tournament participants. These Voting Rules and Procedures are subject to change at any time at the sole discretion of NBC10 Boston and NBCUniversal Media, LLC (collectively, “NBC”). Void where prohibited. Voting (“Voting”) is simple and easy. To vote, visit www.nbc10boston.com and search for “Best Boston-area sports bar.” Voting will be conducted pursuant to these Voting Rules and Procedures and any such other rules and procedures as NBC may from time to time designate. Eligibility: You must be eighteen (18) years of age or older to submit your vote (“Vote”). You must be a permanent legal resident of the fifty (50) United States or the District of Columbia (“Geographic Area”). Votes must be cast by the authorized account holder of the cell phone from which the Vote is made. Voting Period and Restrictions: Voting is open during multiple voting periods beginning January 23, 2018 at 10:00 A.M. ET and ending February 2, 2018 at 12:00 P.M. ET (each a “Voting Period”) as indicated in the chart below. Voting is currently limited to one (1) vote per person per Voting Period but NBC reserves the right to change the limit on the number of Votes, in its sole discretion. Notification regarding any such change will be announced on-air and/or posted on the Website. Round 1: Starts 1/23/2018, 10 a.m. ET, ends 1/25/2018 12:00 p.m. ET. How to Vote Online: Log onto the Website and view the Voting choices available during the applicable Voting Period. You may submit your Vote during the applicable Voting Period by clicking on your selection. A results screen will appear confirming your selection. Editor's note: Due to a technical glitch the results of the first round were incorrect for a short time, but have now been corrected. General Conditions: NBC has the right, in its sole discretion, to void any Vote that appears, to have been made by a person not meeting the eligibility requirements set forth above, or to be an automated or duplicate Vote, and has the right to permanently disqualify from any Voting any person it believes has violated these rules. If for any reason the Voting is not capable of being run or implemented as planned, including, but not limited to, as the result of infection by computer viruses or bugs, tampering, unauthorized intervention, fraud, or any other cause beyond the control of NBC, which is likely to, or actually corrupts or affects the administration, security, fairness, integrity, or proper conduct of the Voting, then NBC reserves the right, in its sole discretion, to withdraw the transmission of any Vote and/or to terminate or suspend the Voting at any point and declare the Voting results based upon the Votes up to that point. In the event of technical difficulties with the Voting, including, but not limited to, mobile or Internet service interruptions, NBC reserves the right to review the Votes for accuracy and to take any appropriate action, including, without limitation, voiding the Votes cast during the time period in which such technical difficulties occurred. NBC, NBCUniversal Media, LLC., their respective parents, affiliates, subsidiaries, and advertising and promotion agencies, any other entity involved in the development or administration of the Voting, and each of their respective directors, officers, employees and assigns (collectively the “Released Parties”) are not responsible for any computer, network, technical, electronic, human or other errors or problems of any kind, for any injury or damage to participants or to any person’s computer or mobile phone relating to or resulting from Voting or downloading materials or software in connection with the Voting, or for Votes that are stolen, misdirected, garbled, delayed, lost, or late. By participating, each individual agrees to release and hold the Released Parties harmless against any and all claims and liability of any kind arising in whole or in part, directly or indirectly, out of their participation in the Voting. Administrators will take reasonable steps where practicable to prevent Voting outside of the Geographic Area; however, some Votes cast outside of the Geographic Area may be counted, and such individual waives any claims such individual may have against the Administrators as a result of the inclusion of such Votes. Caution: Any attempt by you or any other individual to deliberately damage any online service, mobile phone service, or website, tamper with the Voting process, or otherwise undermine the legitimate operation of the Voting is a violation of criminal and civil laws and should such an attempt be made, Released Parties reserves the right to seek damages and/or other remedies from any such person to the fullest extent permitted by law. Disputes: THESE RULES, AND SUBMISSION OF YOUR VOTE, ARE GOVERNED BY, AND WILL BE CONSTRUED IN ACCORDANCE WITH, THE LAWS OF THE STATE OF NEW YORK, AND THE FORUM AND VENUE FOR ANY DISPUTE SHALL BE IN NEW YORK, NEW YORK. IF THE CONTROVERSY OR CLAIM IS NOT OTHERWISE RESOLVED THROUGH DIRECT DISCUSSIONS OR MEDIATION, IT SHALL THEN BE RESOLVED BY FINAL AND BINDING ARBITRATION ADMINISTERED BY JUDICIAL ARBITRATION AND MEDIATION SERVICES, INC., IN ACCORDANCE WITH ITS STREAMLINED ARBITRATION RULES AND PROCEDURES OR SUBSEQUENT VERSIONS THEREOF (“JAMS RULES”). THE JAMS RULES FOR SELECTION OF AN ARBITRATOR SHALL BE FOLLOWED, EXCEPT THAT THE ARBITRATOR SHALL BE EXPERIENCED AND LICENSED TO PRACTICE LAW IN NEW YORK. ALL PROCEEDINGS BROUGHT PURSUANT TO THIS PARAGRAPH WILL BE CONDUCTED IN THE COUNTY OF NEW YORK. THE REMEDY FOR ANY CLAIM SHALL BE LIMITED TO ACTUAL DAMAGES, AND IN NO EVENT SHALL ANY PARTY BE ENTITLED TO RECOVER PUNITIVE, EXEMPLARY, CONSEQUENTIAL, OR INCIDENTAL DAMAGES, INCLUDING ATTORNEY’S FEES OR OTHER SUCH RELATED COSTS OF BRINGING A CLAIM, OR TO RESCIND THIS AGREEMENT OR SEEK INJUNCTIVE OR ANY OTHER EQUITABLE RELIEF.